Are you mere years away from hair loss? 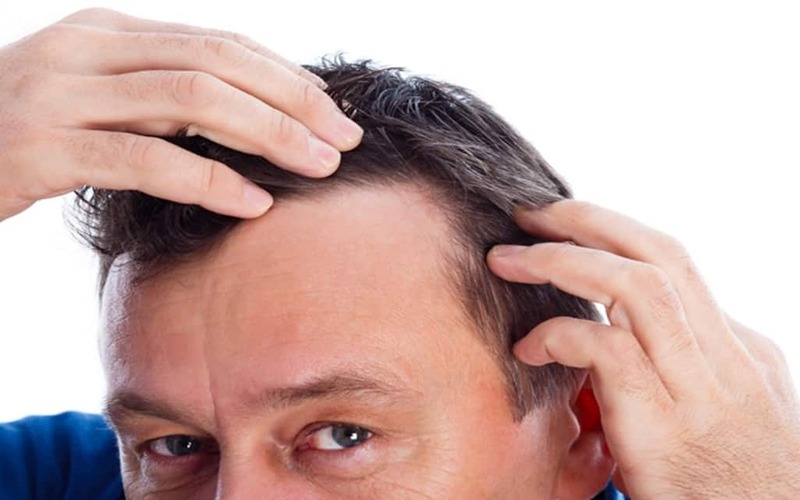 By the age of thirty-five, nearly two-thirds of men will experience some form of hair loss. For most men, that’s far too soon to be dealing with such a problem. Fortunately, light therapy for hair loss is one solution that may work for you. Before you skip to visions of Jack Nicholson in Anger Management, it’s important that you know what light therapy is really all about, how it works, and if it works. Read on to learn if light therapy for hair loss is right for you. What is Light Therapy for Hair Loss? In theory, light therapy for hair loss may sound like something out of a science fiction novel. This becomes, even more, the case when you see the helmet often associated with the technology. However, in its truest form, light therapy is simply a form of hair loss treatment that utilizes red light to stimulate follicle growth. The process is straightforward, practical, and doesn’t have to be insanely expensive. Most importantly it provides an alternative for those who aren’t ready to give up their hair and don’t want to deal with messy and expensive creams. To dig even deeper into this, let’s take a closer look at the science behind light therapy. Typically light therapy utilizes LED light that emits a red light. The wavelength of this light is about 630-670nm. With that level of LED infrared directed at the scalp, the roots can be stimulated resulting in hair growth. When partnered with hair loss hair serums, those using light therapy can typically see results within a few weeks. If you have seen or have heard about Light Therapy before, chances are you’re already familiar with the large help that resembles the kind you wear on a motorcycle. While this method certainly offers great results, it’s not the only way in which light therapy can be executed. Using a high-quality red light therapy bulb or a red light therapy comb are also options that can help stimulate hair growth. How Much Does Light Therapy Cost? At it’s most expensive, a full year of light therapy comes in at about $4000.While that may seem like a lot, it breaks down to a little over $300 a month, significantly less than other hair growth methods that have a lower success rate. On the other hand, if you opt for one of the other methods (hair therapy light bulb or laser comb), the price will be significantly less. Who is a Strong Candidate for Light Therapy? It’s important to know that not everyone suffering from hair loss will see the desired result with light therapy. That’s because this specific treatment is more geared towards men and women with mild to moderate hair loss. It also works best if the hair loss is a result of genetics, rather than intense stress or another form of therapy like chemo. While there will still be results for those with extreme hair loss, if used for a prolonged period of time, it’s unlikely that the results will be satisfying. Where to Get Light Therapy for Hair Loss? There are different options on where you can find the light therapy, depending on which method you choose to go with. If you choose to go with the helmet, it can be purchased and used in the comfort of your home. However, if you are buying it from an online vendor it’s important that the product is verified and FDA approved. Unfortunately, there are plenty of knock-offs available and you’ll have to dig to tell the difference. The red light lightbulb and laser comb can also be found online. If you choose to have the process done by a professional, check with your local laser center to see if they offer the service. It’s important to keep in mind, that in some situations hair loss is not permanent. If you are undergoing a specific treatment that may have hair loss as a side effect, are experiencing a high amount of stress, or have recently had a baby, it’s normal to experience some hair loss or thinning. In this case, you can expect the hair to grow back with time. However, if you are losing your hair due to genetics, you will want to start looking into light therapy for hair loss as soon as possible, for a better chance of resolving the problem. Gradual thinning at the crown of the head. With the promising results offered by light therapy, there’s no surprise that many businesses are now offering similar products and services. However, it’s important to keep in mind that not all light therapy products are created equal, and some products are not worth the investment. We personally recommend Capillus for their superior light therapy products. Not only are their products cleared by the FDA, but they also offer more lasers per unit area than any other product on the market. The laser cap is one of the most comfortable on the market and doesn’t come with the same awkward and bulky feeling you’ll find with other products. The laser cap also has a slim lithium-ion battery that’s easy to recharge. Light therapy for hair loss is just one of the many methods you can use to start taking control of the things you want to change in your life. Whether you’re unsatisfied with your physique or are simply ready to update your look, it’s time to take action in the areas that matter most to you. Read through our articles for more tips and info to help you make the changes you’re ready to make.